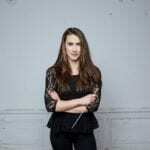 Marta Gardolińska began as the Bournemouth Symphony Orchestra’s Leverhulme Young Conductor in Association in September last year, a trainee role which ordinarily involves assisting conductors in rehearsal and taking on some school and family concerts. Barely six weeks later, she was conducting Rachmaninov’s immense second symphony and the Bruch violin concerto in a main stage concert, having stepped in at short notice for an indisposed Ben Gernon. Needless to say, it went well. Marta took piano and flute when she was growing up in Poland, but after trying her hand at choral conducting, by the age of 20 she was already focusing on the baton, with studies at the Frédéric Chopin Music University in Warsaw, followed by the University of Music and Performing Arts in Vienna. Things began to fall into place with her appointment as Principal Conductor of the TU-Orchester Wien in early 2017, Conductor in Residence of the Akademische Orchesterverein Wienand, and an associate Taki Concordia Conducting Fellowship in 2017-2019, giving her the chance to work with and learn from Marin Alsop. The Leverhulme Young Conductor in Association at the BSO has been going since 1970, with recent alumni including Maxime Tortelier, Andre de Ridder and Frank Zielhorst. It must have been a very competitive process. The position is advertised every other year, and I tried last time round and didn’t get to the audition stage. I decided to apply again, and this time I got through – from 130 applications, the orchestra invited around 10 people to auditions. Overall, I took three rehearsals with the orchestra with a variety of repertoire. There was some Brahms, Copland, Mahler, Elgar, Britten. I have to say, it was a bit of an intense week! I had an evening rehearsal in Vienna on the night before auditions in Poole, so I had to take the earliest flight to make it to my time slot, but somehow, I think for auditions that can be better; you don’t have time to think or stress, so you just get on with the job. The orchestra from the beginning were so friendly and open. I felt I could really experiment and just… work. They are very responsive, and I had a very good feeling form the beginning – not that I expected I would win it! That was a very nice surprise. I also realise now that it came at the right time. If I’d got through those couple of years earlier, I wouldn’t have profited as much as I do now having some more experience and being able to start from a higher level. When you started you must have hoped you would get an opportunity to step up at some point, but did you expect it would be so soon? Not at all! I have friends who have been on similar programmes, and that’s all we talk about, whether the chance will come up. I had 48 hours’ notice. I did know the repertoire for the first half of the concert, but I had never opened the score of Rachmaninov’s Second Symphony before and this piece is not as popular in countries where I lived before as in the UK. So, I had to learn the whole piece from scratch within those 48 hours! It was one of the best musical experiences ever, and I really appreciate that the BSO management trusted me. It convinced me that this was the very right moment to get the position and start this journey. What does the role usually involve? There are three main responsibilities. One is covering for conductors, including visiting conductors, so I need to be on top of all the repertoire and assist in rehearsals. Then there is a series of concerts which are on the lighter side, family friendly, BSO Proms and touring concerts in smaller venues. I am also involved with the participation department working on outreach projects. They work with elderly people, children, people in hospital. It is an issue close to my heart, finding ways of using music to improve the quality of life of elderly, lonely or sick people. I believe that our society will need that more and more. You’ve described yourself as a chamber musician with a baton. Is that a clue to your conducting philosophy? The ideal way of music making for a lot of people is chamber music because everyone is equally important, which creates a sort of energy that you can’t get anywhere else. With a bigger group you need someone organising it, the conductor, but I think it’s important for a conductor to create space for the musicians to give as much as they can. An ideal for me is Claudio Abbado who also talked about chamber music: inviting and merging ideas instead of just dictating. You did a postgraduate degree in Music Physiology – does that inform your approach in any way? As a kid I was actually doing more sport than music, and through that I had some injuries, did some physiotherapy, and realised what self-care is. But I also noticed how musicians weren’t thinking about it at all. Being a professional musician offers similar challenges to being a professional sportsperson, with huge physical strain in very particular areas of the body of instrumentalists, and too often they just get used to living with chronic pain. Whenever I get a chance to influence an institution on that level, I will certainly try to make sure that options are available for musicians to seek help or advice early enough, when it’s still prevention. You’re passionate about the music of your homeland. Are there any composers you feel should be better known? Yes, Polish orchestral music is a little bit of a mission for me! In the 20th century there is Grażyna Bacewicz for instance [whose works include seven violin concertos and four symphonies]. Earlier there is Szymanowski who is already widely performed of course, and I believe it will grow, but there are also fantastic symphonic works from the 19th-century that are little known, even in Poland. Mieczysław Karłowicz, Józef Wieniawski [brother of the violinist Henryk], Zygmunt Noskowski, Józef Dobrzyńsk… many names and lots of interesting and beautiful music. I would love to help broaden the standard repertoire by rediscovering pieces and doing them justice through research and finding proper performance practice for them. 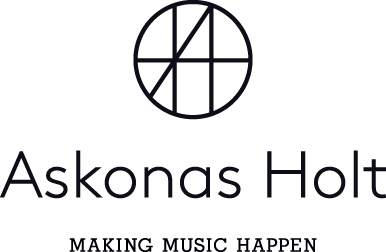 It is important for me to contribute both to popularising Polish culture abroad and help musical culture in Poland grow and flourish – and of course I hope I will have a chance of to make more music there in the future.